Deputies cited the man for violating Ada County code — which bans all fireworks in the Foothills and any other areas that constitute a “severe fire threat” between June 1 and Oct. 31. Taylor Kemp admitted to detectives he was shooting roman candles by the road near the Table Rock gate just before midnight June 29 when he said the wind knocked one of them over. The flaming projectiles ignited the side of a nearby hill. 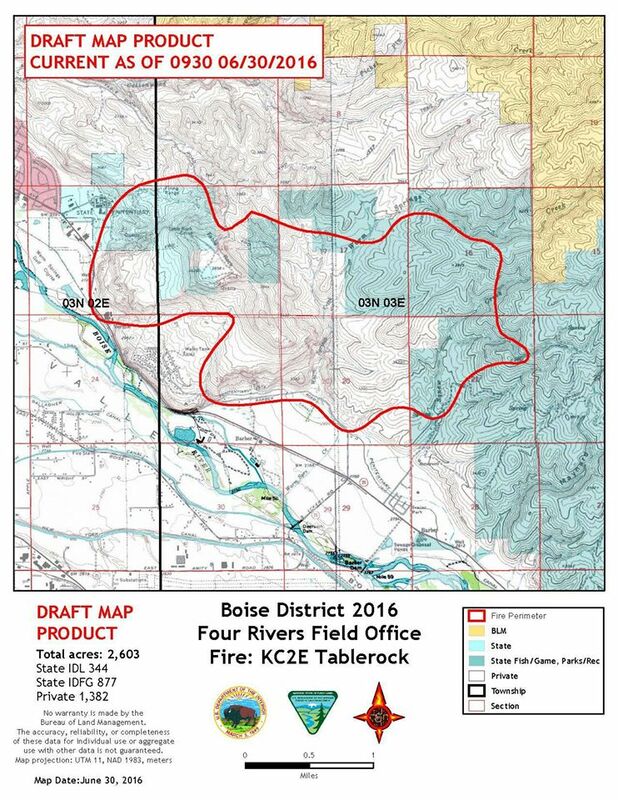 By the time fire crews contained the blaze the next day, one home and outbuilding were destroyed, dozens of homes in the Harris Ranch subdivision were put at risk, and over 2,600 acres of the Foothills that frame the east end of Boise were burned black. Violations of Ada County’s fireworks code are misdemeanors, punishable by up to six months in jail and a $1,000 fine. Kemp said he purchased the aerial fireworks — which are legal to buy but illegal to actually use anywhere in Idaho — at a fireworks stand in Elmore County. The city of Boise doesn’t allow the sale of illegal aerial fireworks. Ada County 911 Dispatchers received numerous reports of people lighting off fireworks near Table Rock Road before the hillside caught fire just before midnight June 30. It didn’t take long for the fire to spread that night because the Foothills were dried out and cured to burn. Boise Fire and Bureau of Land Management crews converged on the fire as soon as possible and were able to stop the spread of the blaze – but not before it consumed a home on Pheasant Lane and an outbuilding nearby.